Two Malaysian publications also won accolades at the Society of Publishers in Asia (SOPA) 2016 Awards! He was presented with the award yesterday night, 15 June, at the annual SOPA Awards for Editorial Excellence gala dinner at the Hong Kong Convention and Exhibition Centre. 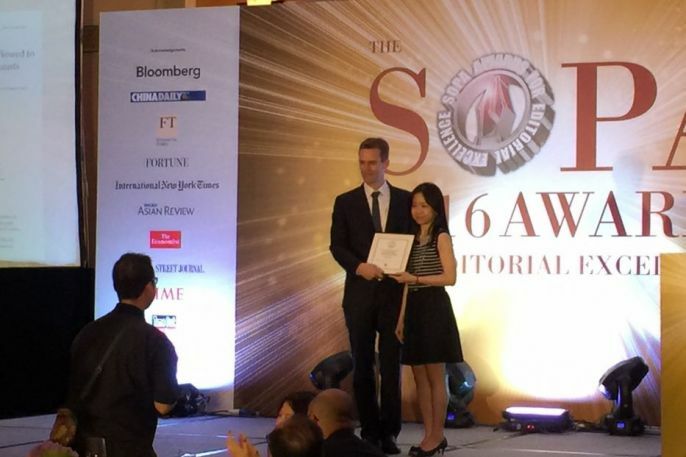 Wright, who is WSJ Asia's Economics Editor, was recognised for leading the coverage on the alleged financial scandals linked to 1Malaysia Development Bhd (1MDB). The reports were published between July and December last year. "I've basically worked on this for a year now," he said during the acceptance speech, adding that WSJ had faced threats from the Malaysian government for covering the issue. "Obviously on this story, we were threatened a lot by the Malaysian government; threatened to be sued. We’ve been told we made up stories, made up sources, (that) our sources may or may not have existed — I don’t even know what that’s supposed to mean — and that, basically, we have an agenda, (that) we were a political actor in Malaysia," he added. The business publication is the Group A winner for the Scoop Award, for its report 'Malaysia’s 1MDB Scandal’ that started the ball rolling on global investigations into the Malaysian sovereign fund as well as worldwide media coverage of the matter. WSJ also received honourable mention for the same article in the Excellence in Investigative Reporting Award. The category honouring reports that exposed corruption or abuses and hold the power to account. 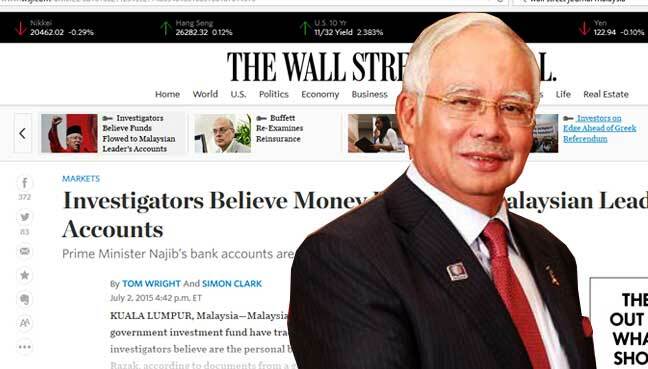 Previously the WSJ was a finalist in the International Reporting Category of the prestigious Pulitzer Prize which honours outstanding American journalism, for its 1MDB expose. 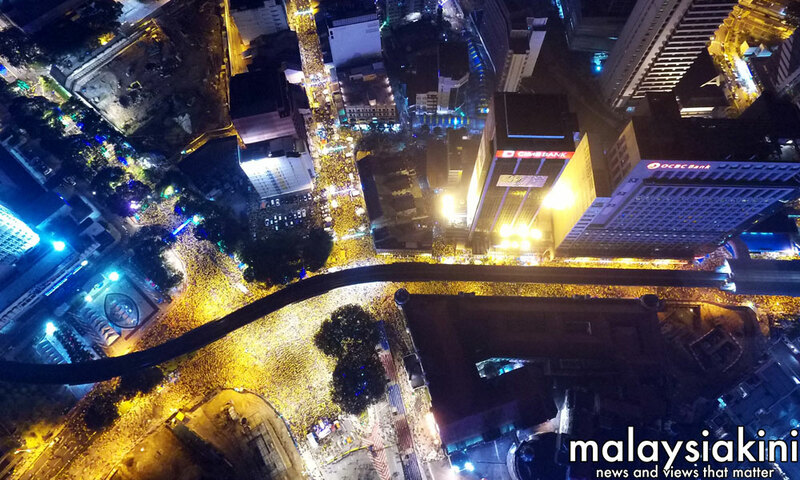 Malaysiakini's use of aerial drone technology to cover Bersih 4 last August, received an honourable mention for its photography. The publication's photographs of the large-scale public demonstration were widely shared on social media. Meanwhile, it was reported that The Star Online won the Group B Scoop Award for its report title, 'Visa Discord’. The exclusive investigative report details the sudden rising cost of visa fees for foreign workers in Malaysia, and the possible repercussions of the issue including having less legal workers who can afford to pay the fee. The SOPA Awards have consistently secured judges from many of the region’s leading newspapers as well as consumer and trade magazines and academics from prestigious universities – a reflection of the stature of the awards. Judges ensure that entries are analysed and selected according to a demanding set of criteria. SOPA is a not-for-profit organisation based in Hong Kong that champions the freedom the press, promote excellence in journalism and endorse the best practices for all local and regional publishing platforms in Asia Pacific. It was founded in 1982.